Authentic Entertainment has announced an expansion of its creative team as the company seeks to drive innovation and greater creativity across its portfolio of radio and digital properties. Award-winning innovator Nik Robinson, co-founder and former creative director of advertising agency, Cabana Boys, joins the team to work alongside group content director, Sam Thompson and creative director Jamie McTavish. Nik is charged with driving innovative new product development and creatively developing Authentic’s existing content offering across its stable of broadcast and digital entertainment brands including Vevo, Take 40, Radio X Factor, Live at the Chapel and The Hot Hits. He will be based in Authentic’s Sydney office. At Cabana Boys, Nik led the development and implementation of work across a roster of consumer and not-for-profit clients including Guzman Y Gomez, Angostura Bitters, Sydney Symphony, Australia Council for the Arts and Mission Australia. Prior to his role at Cabana Boys, he was a presenter and producer on the Triple M Network, for which he received a nomination at the Australian Commercial Radio Awards for Best On-Air Newcomer. 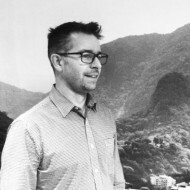 He has also held roles at Getty Images’ as European design director, the BBC and worked for the iconic UK TV breakfast show The Big Breakfast. Nik has won over 40 design and advertising awards for his work in Australia and Europe including Cannes Lions, D&AD, Caples, an ADMA Grand Prix and the Vincent Steer Award. In addition to Nik’s appointment, Nathan Davoli also joins the team as a Copywriter, following previous roles at OBM Advertising and CHE Proximity and Jessica Zara joins as a Designer, following her previous role at Loud & Clear. Both will work at Authentic’s office in Melbourne.